Hi, guys! 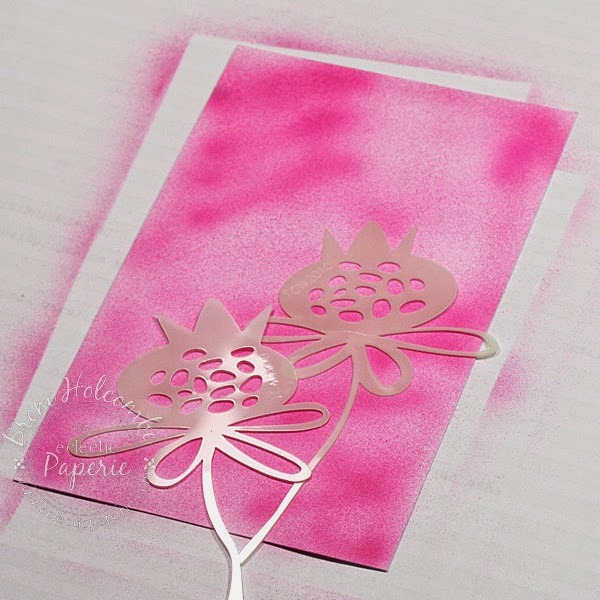 It's Broni here, and today I'd like to show you what I made for this month's ePlay Challenge: Get Stenciled. I love Erin's gorgeous and vibrant journal pages and wanted to create something just as vibrant, but a little different. I had tried a little airbrushing with stencils before, but never an entire project, so I thought I'd give it a go. That's my finished card, now I'll show you the process. I started by airbrushing a piece of white cardstock with 2 different colors of Copic markers - RV17 and RV19. Next I laid my Pomegranate Flower Bits masks on top of the airbrushed panel and airbrushed again using my YG25 and YG 95 markers. I added some blue (BG13) toward the top of the panel and then added some definition to the pomegranates using my Stabilo black pencil. What a difference that made! I also added some highlights using my Stabilo white pencil, then deepened the dark shading some more, blending with a paper stump. 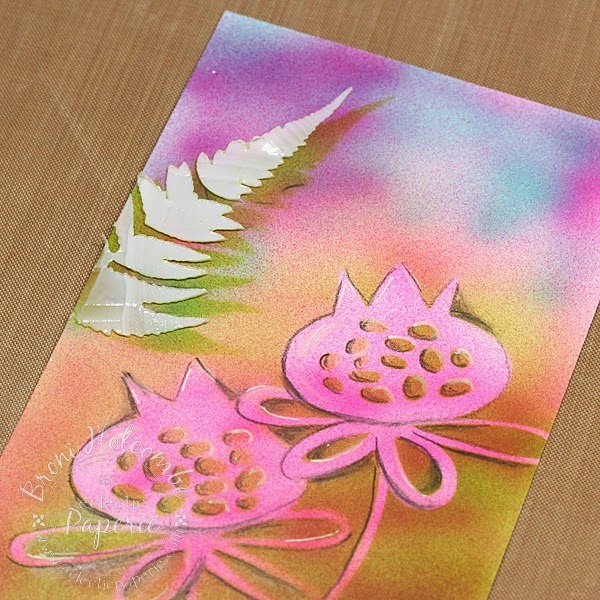 Using my Mini Ferns stencil and my YG25 marker, I airbrushed a fern on the left side of the panel, added a few dark lines, then moved the stencil a little to the left and added some Translucent Embossing Paste using my palette knife. I love the depth and texture that this paste adds! I didn't really want to cover up any of the panel with a sentiment, so I stamped mine on a narrow strip of vellum using Archival Jet Black ink and added it to the bottom of the card. I added some enamel dots and I was done. Here again, is my finished card. You don't have to airbrush to get these results. 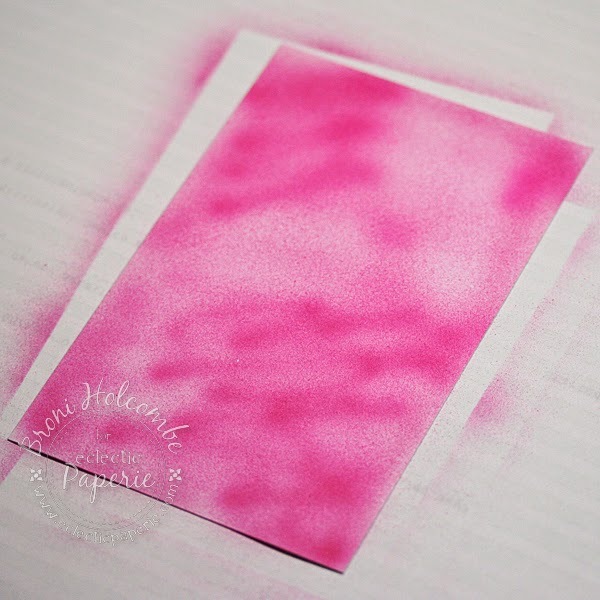 You could sponge ink through the stencils to get a very similar look. 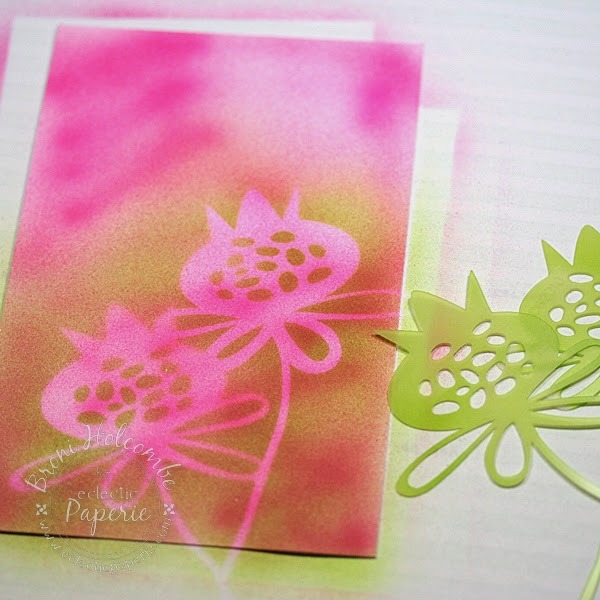 Pull out your stencils and let us see what you create! You can link up your masterpiece on the ePlay challenge blog post HERE. Thanks so much for stopping in to visit! I hope you have a very crafty day! What a wonderful background Broni! 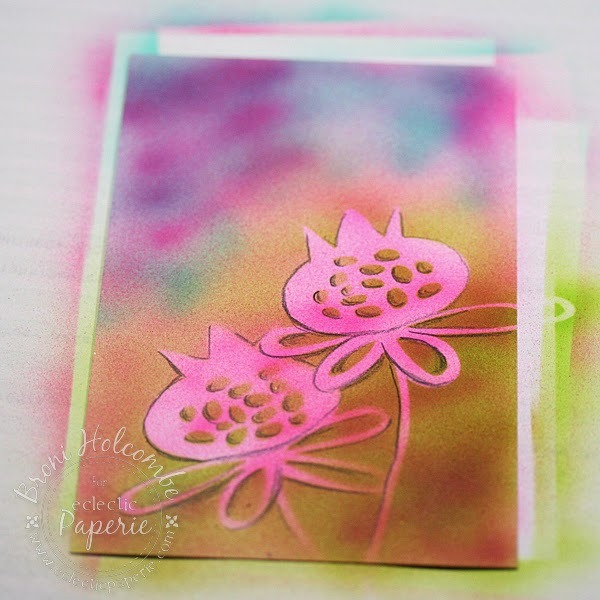 love the colors and your great stenciling! A very ethereal creation! looks great! love the extra texture! 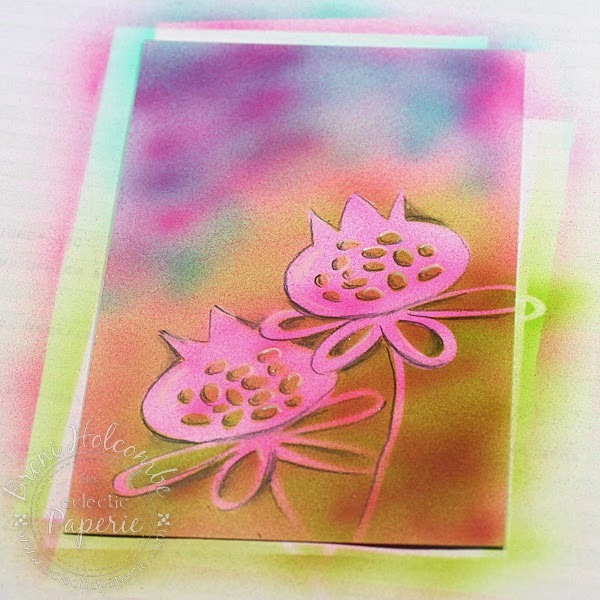 What a pretty result you achieved using airbrushing and stencils. Just love the vibrant colors !! Ohh love it. Do you know that I haven't used my airbrush machine in like years...... 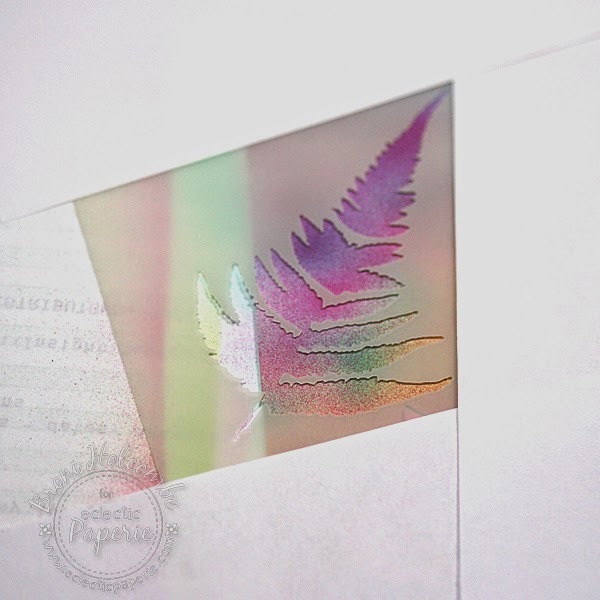 I'm going to set it up tonight - completely forgot about using copic airbrush system and stencils (duh me)..... beautiful cards. 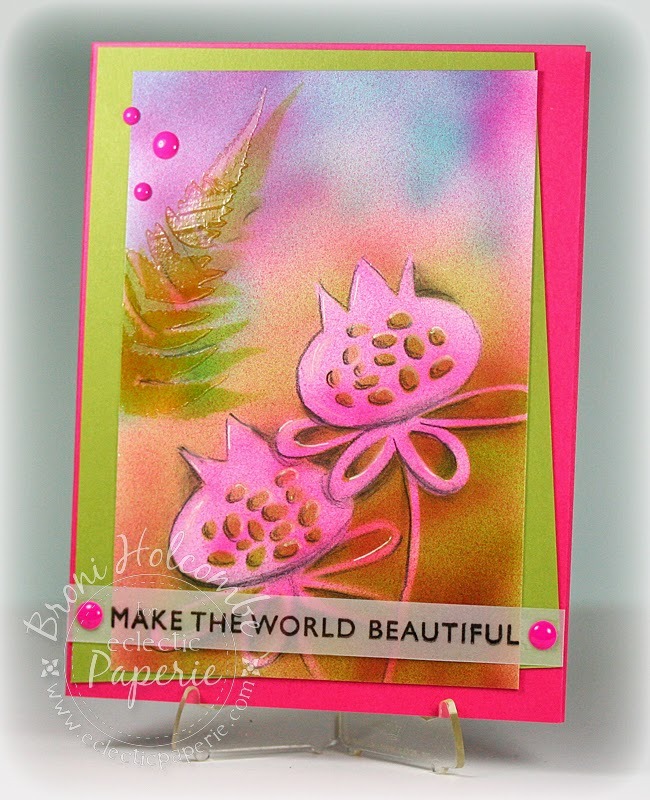 Broni, just LOVE the stencils and the airbrushing and the GORGEOUS colors! This is so PRETTY! Broni, your card is awesome!!! I LOVE bright colors, so this is right up my alley! And your airbrushing is amazing!!!! I'll tell you a secret for my pages though! I sprayed on one page and then smushed the two pages together! And I used Dylusions sprays to do it! Plus water! But, I think I like your airbrushed technique better! It gives it a softer feel!